He stressed that the Russian side was not discussing with the US the future of Syrian President Bashar al-Assad. According to the diplomat, Moscow is not going to to back France’s politicized resolution on Aleppo in the UN Security Council. Russia plans to submit amendments to France’s draft resolution on Syria. "This draft resolution invites a lot of questions from us. Literally on Friday or Saturday, France once again pushed its draft resolution on humanitarian situation in Aleppo," he said. "We are in principle against such politicized moves, aimed at using the UN Security Council for putting additional pressure on Syria and Russia. We regard this move by France as one of these actions," Gatilov said. 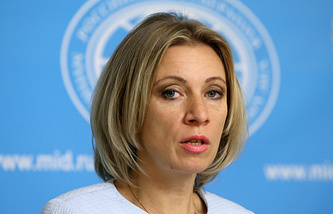 "We familiarized ourselves with the draft resolution, it is rather one-dimensional, having elements that have absolutely nothing to do with humanitarian issues, in particular it has a passage on Syrian chemical weapons," the top-ranking diplomat said. "It proposes establishing certain monitoring over the implementation of humanitarian commitments," he went on. "But why creating once again certain monitoring with an unclear mandate and aims?" he asked, saying "a targeted group for humanitarian issues has been functioning in Geneva for a long time, which discusses exactly all these topics, the situation with humanitarian access and so on," Gatilov said. According to the diplomat, Western partners are not very active within the Geneva group. "All sessions boil down to having information from Russia on the one side, and from the US - on the other," he said. "The other members of the group, including France, keep silent and simply listen. So why talking about some other monitoring mechanisms that are absolutely unclear to us," he asked. "Expert consultations on this text are underway at the UN Security Council, they will continue for a while. We will present our amendments to this text. So let us wait and see how our partners at the UN Security Council will take them into account," he said. "Humanitarian tragedies begin to erupt each time the situation on the ground changes," he said. "We remember well that before Aleppo our Western counterparts brought different situations to the forefront. When they were resolved, different issues cropped up." "Regrettably, humanitarian tragedies, which are really present on Syrian soil, are being used for political purposes in order to advance one’s own agenda. We believe this is absolutely unacceptable. These issues must be addressed in a constructive fashion. 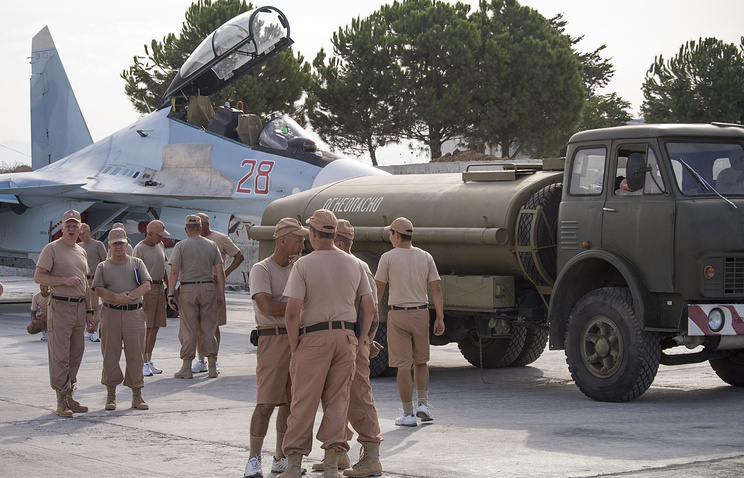 The official has praised participation of Russian Aerospace Force in Syria. "Of course, our participation in the anti-terrorist operation in Syria is highly efficient, particularly now when the situation around Aleppo has become especially serious," the diplomat said. According to the diplomat, the issue of how long the Russian Aerospace Forces will stay in Syria depends on the development of the situation there. "All will depend on the situation," Gatilov said in response to a relevant question from journalists. The deputy foreign minister stressed that Moscow hopes for unbiased probe into the September 19 attack on a humanitarian convoy near Aleppo. Earlier, United Nations Secretary General Ban Ki-moon took a decision to set up a special commission to investigate the incident. "From the very beginning, we have been insisting on a thorough investigation into this situation," Gatilov stressed. "We hope it will be an unbiased investigation that will help clarity what happened to the humanitarian convoy," Gatilov told a news conference. He stressed that attempts to put responsibility for the attack on Russia are absolutely ungrounded. "We worked with both United Nations employees and with the Syrian government, we exerted much effort to ensure the movement of the humanitarian convoy to Aleppo’s besieged districts," he said. "The Syrian government took concrete steps whereas the opposition, on the contrary, did nothing." "That is why there is no reasonable basis to say that Russia has any responsibility for this [the attack on the humanitarian convoy - TASS]," he added.